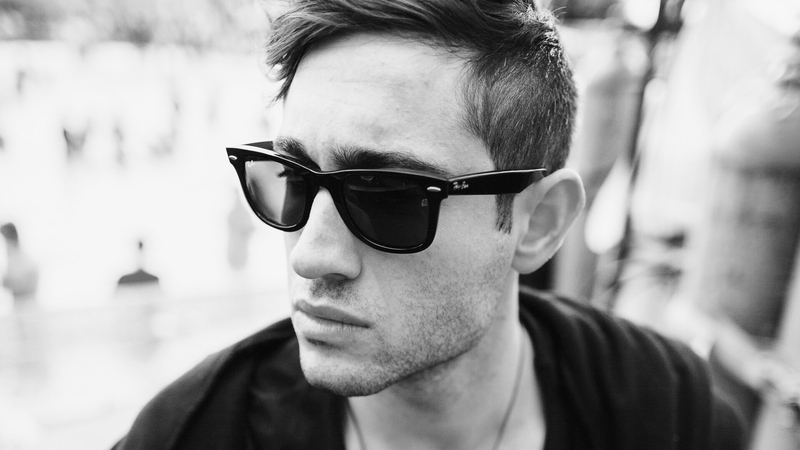 Word of advice: if you haven't seen the music video for 3LAU's banger, "On My Mind", do so—STAT. The electronic producer teamed up with New England Patriots’ Rob Gronkowski and WWE’s Mojo Rawley for the visuals, and yes, they're as ridiculous as you'd imagine. While we're obsessed with both the song and the accompanying vid, the humanitarian efforts behind the project make it even better—a chunk of all the proceeds for the song go to supporting the ACLU. Another reason we love the Las Vegas-bred musician? His official remixes. From Rihanna's “Desperado” to Katy Perry's “Bon Appétit” to Zedd's “Spectrum”, his fresh perspective breathes new life into the songs we already ride for. In addition to flipping other artist's music, he's not afraid to rework his own either. The "On My Mind" remix package officially dropped today, and features work from Odd Mob, Kyco and Michael Sparks as well as 3LAU’s own club mix of the track. If you're dabbling in the festival circuit this summer, there's a good chance you'll get to hear some of them live—Billboard Hot 100, Lollapalooza, Global Dance, and Veld Music Festival are all on his agenda. If you're in the LA area, you can also catch the "Is It Love" performer at Create tomorrow, July 1. Check out our interview with the EDM star below, then make sure to Track him on Bandsintown to find out when he'll be in a city near you! Your b2b set with Audien at EDC looked insane. What was the best part of the festival for you this year? The best part of the festival was getting the chance to play such a huge stage with one of my best friends. It’s one thing to play alone and another to play with a friend and have that shared experience. We also put out our new collaboration “Hot Water” earlier that day. That helped make it special. From Katy Perry’s “Bon Apetit” to Rihanna’s “Desperado”, you’ve released a handful of remixes this year. Which song has been the most fun to perform live? I actually love playing the Rihanna track. The second drop on the “Desperado” record goes well with other stuff so I mix it in a lot when I play live. You are set to play at Lollapalooza, Billboard Hot 100, Breakaway, and more this summer. What’s the biggest difference to you between festival sets and headlining shows? For headlining shows I generally play directly for the fans and to the fans. I’ll play a lot of my own stuff, a lot of my new stuff. For festival sets I am broader with what I play because not everyone in the crowd knows my music. I spend a lot of time mixing my tracks with stuff people already know and also mix in some more obscure content. That’s the arc for many of my upcoming festival sets. Hmmm…Childlike, Energetic and let’s just call it going really hard. Your label, BLUME, has helped raise over $275K for various charities. What has been the most rewarding thing about working with organizations like Pencils of Promise? Working with organizations that are transparent and tell you where the money is going is important for someone like me who’s using my influence to raise money. I want my fans to know that the money is going to the right places and Pencils of Promise is a fantastic organization when it comes to that. In September I am going to actually go down to Guatemala and visit the schools that we built with the money that we raised last year. It’s going to be an incredible experience. I’m going to bring a video crew down there so the fans can see how they directly impacted a community. What city goes the hardest during your sets? I can’t answer that question! Someone is going to get mad at me! Canadian cities do go especially hard though. What was the best show you’ve ever been to as a fan? Seeing Porter Robinson play at Something Wonderful in Dallas was one of my favorite shows recently. Most memorable fan interaction while touring? There have been a couple of people who have been in very unfortunate tough places in their lives. Some were dealing with depression others were dealing with paralysis. One of the best experiences is when some of these people who have been dealt a bad card say to me, “Hey dude, your music has helped me get through it.” That is the number one reason why I do what I do. To help and motivate people to go farther and to stay positive. There is nothing better than meeting fans and having them say my music has done something for them personally. What are you looking forward to at Create this weekend? I’m looking forward to playing in LA because it’s been a long time and everybody comes out. LA’s a huge crowd. Having all my friends there will be an awesome experience and getting to debut some new songs after EDC will be an awesome experience too.